Lovely condo. The downstairs entrance with the stairwell to the living space upstairs gives the home a unique loft-like and private feeling. Spacious living/dining room combo and vaulted ceilings. The kitchen has lots of counter top and cabinet space and is fully equipped with stove, dishwasher, refrigerator and built-in microwave. Large master bedroom with large walk-in closet. Stacked washer & dryer. Ample parking and balcony. 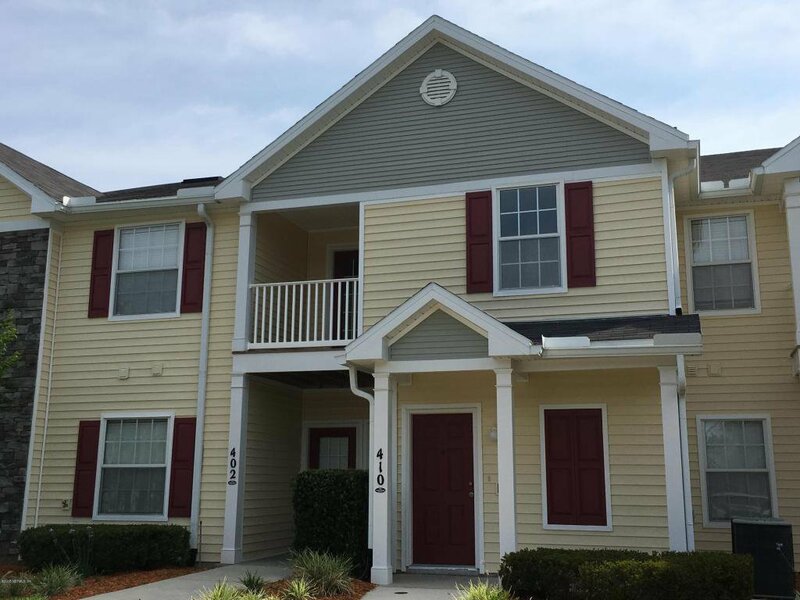 Neighborhood has its own community pool as well as access to Oakleaf Plantation amenities. Listing courtesy of AT HOME REALTY SERVICES, LLC.. Selling Office: COLDWELL BANKER VANGUARD REALTY.